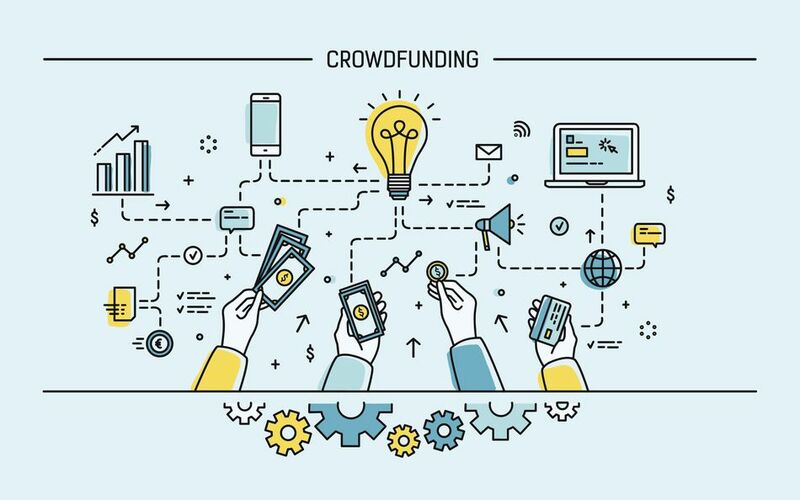 Crowdfunding is taking off, and that means there are plenty of good resources online to learn about crowdfunding. This list includes some of the top blogs on crowdfunding, written by some of the top experts in the field. Ayudos bills itself as a blog and a community. The blog services the industry in two ways: by bringing more exposure to crowdfunding campaigns and by aggregating those campaigns together for potential donors. Run by Mike Gonzalez, there's a ton of content on the site about crowdfunding campaigns, the industry, and platforms. The grandaddy of crowdfunding, Kickstarter, has a very good blog that is part how-to-run-crowdfunding-campaigns and part news repository about the company. Anyone thinking about running or participating in a crowdfunding campaign, especially on Kickstarter, would benefit from spending some time on Kickstarter's blog. Peter Renton's site focused on the social lending and peer to peer lending market. There's information here on investment strategies, news on the industry, interviews with entrepreneurs in the space, and educational content. Renton was early into the P2P lending space and has been tracking his returns publicly for years. OurCrowd is an equity crowdfunding platform to invest in Israeli early-stage companies. The blog is a great resource for investors new to equity crowdfunding. OurCrowd's blog deals with many investing topics core to investing in private companies. EarlyInvesting is a great resource for information on current investment opportunities in equity crowdfunding. EarlyInvesting curates deal flow for investors and tries to identify higher-quality investment candidates. One reason we're a big fan of the Crowdability product is that while the Crowdability newsletter is a great resource to learn about higher-quality investment opportunities in private companies, the blog is even better. The Crowdability blog is the place where the site's editors focus primarily on investor education -- helping investors manage risk and learn how best to approach investing in startups and other earlier-stage companies. Devin Thorpe's blog focuses on the people and big ideas powering the global crowdfunding movement. His site is full of videos, people pieces, and stories about inspiring crowdfunding projects going on around the world. Ross Dawson's blog is a place where he explores opportunities for business and society in a hyper-connected world. Ross is a futurist and keynote speaker and he shares a lot of his ideas. He's also the author of Getting Results from Crowds, which he calls a definitive guide to crowdsourcing. Rose Spinelli is one of the top 100 influencers in crowdfunding today. On her blog/website, she helps entrepreneurs all over the world learn and implement best practices for conducting crowdfunding campaigns. You may know that Indiegogo is a massive player in the rewards-based crowdfunding market. But you may not know that Indiegogo has one of the best blogs on crowdfunding anywhere. The blog is chock-full of data, information, and tips on what contributes to a winning crowdfunding campaign.